Wow, what an adventure it's been! I've just been reading back through my blog, something I like to do from time to time, and it's just so amazing to see all these things that we've done laid out in print and preserved here to parouse. It's funny the way you can't remember things, dates and such, and journaling is such a wonderful way to combat that. For instance, I now know that this Halloween will be FIVE YEARS since Carrie and I quit smoking! We haven't picked it back up, not even a little, not even once. And August marked FOUR YEARS in our home. We almost sold it this summer, but that didn't fall into place like we thought it might. So many things have changed since I first started writing this thread. Cars and bikes have come and gone, as have helmets, birds, garden vegetables and even dogs. Our beautiful German Shepherd who finished our Bear Lake Pizza crossed the rainbow bridge last summer, we miss her a great deal. Some things haven't changed though. The bathroom and basement are STILL incomplete, though less so than when we started, and the flower beds around our home still tend more towards weeds than flowers. And we still have a free-flight bird room where we breed pet parakeets and cockatiels, though we're slowly getting out of that hobby at whatever rate nature determines is appropriate. Curiously, despite what my entry dates might suggest, the last year has been ALL ABOUT TMW. 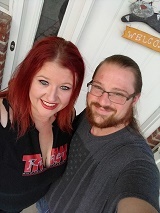 Carrie and I have been doing a ton of work reviewing products and attending events, most recently some pieces from Indian Motorcycle that you may have seen on the main page. If not, head over to the Reviews section and check out some of the work we've been doing. There are YouTube videos too with all the latest stuff, and we're pretty proud of the work we've done. Of course, we do it all for YOU, our loyal readers and wayward internet searchers alike. THANK YOU SO MUCH for being here, reading my blog, coming along on these journeys with us and sounding off. There will be more to come. We've done just a TON of riding all summer long and had some excellent adventures. We finally made the Colorado run we've always wanted to do, rode that Colorado River canyon by Arches National Park and even discovered one of the most insanely technical bits of road we've ever had the pleasure to lean in to. East Canyon has NOTHING on Douglas Pass. I'll tell you all about it in some future entries. Wow, still hard to believe I've been contributing to this blog for SIX YEARS, original entry May 4 of 2012. There'll be more to come. I know this is about the fourth time I've made this statement on this blog, but I'll try to get in here more often and keep it updated. Sound off, leave a comment, make a statement! Knowing I'm reaching people is what keeps me going, so let me see you watching. That's all for now! 6 years blogging and five years non smoking. Congrats. Mostly on the no smoking part. Thursday? Sunday? No, wait...Tuesday! It's been hard to keep track. You see, I'm a Federal employee and my agency is one of the agencies affected by the shutdown. I've been out of work since December 21st, so with nowhere to go and nowhere to be, I'm slowly loosing track of the days. I've also started to revert to my swing shift roots, staying up until midnight and sleeping until 8 or 9am. When we finally do get to go back to work it will be tough to adjust, but there's no end in site anyway, so maybe I'll just pour another drink and start in on another video game. Cheap entertainment! Daytime temperatures hover in the high 20's here in our state, so as you'd suspect the bikes are slumbering in their cozy garage. They're not happy about it of course, and as soon as the weather warms up just a little we'll be off again. But for now they sleep, and dream. We're also hoping to get certified this spring as MSF RiderCoaches. Got a few emails out to that effect and waiting to hear back. We'll see what happens there. That's all for now, thanks for taking the time. As always, I appreciate all of you and look forward to your feedback. Post something!! Another update less than two days later!? How ever is this possible? Snow and beer, that's how. Anyway, just another quick update and then I'm going to head over and work on my latest article for the front page. I received a call from my supervisor at work this afternoon, telling me my position has now been deemed "excepted" and that my role is "critical to the success of the (agency name redacted) mission." What this means is I have to report to work even while the government is shut down, without pay. Yes, I have to work my regular shift and do my regular job, but will not get paid for doing the work. I mean, eventually I will, but not immediately. Such is life I suppose. Communications regarding rider coaching classes look promising, we should know more before the spring. We're really looking forward to it. That's all for now, I'm out! Just wanted to drop a brief update to draw everyone's attention to my latest article! If you've read through my blog in detail, you've seen that we really do a LOT of long-distance riding. Carrie and I are always planning the next big adventure, and we're not even a little afraid to rack up some miles. Over all those miles we've learned a thing or two about road tripping, and I wanted to share them with you all. So I wrote "10 Tips for Long Distance Riding". If you're interested in high-mileage touring, check it out! And feel free to sound off here after you read it with any feedback! Wow, this is getting to be a thing isn't it? Today Carrie and I are taking our niece and nephew out to see "The Crimes of Grindewald", should be a good time. Then I think we're going to come home and relax for a bit. Congressional leaders and President Trump came to an agreement yesterday to reopen the government, so starting Monday morning it's business as usual again. It's only a three-week solution though, and it could all start over again in the third week of February. We'll see what happens. Saw a picture on a Versys owners group of a 2009 like mine with a grab bar/frame slider and auxiliary driving lights. I really like the look of it and I'm thinking the bar would be a good place to mount highway pegs too. I'll definitely be considering something like it in the future. Speaking of bikes, the weather is gorgeous today! Bright and sunny and nice cozy 38 degrees F. It's getting me excited for Spring and to start riding again. That's all for now I think, just another quick update. Thanks for keeping up with my blog, I can't tell you how much fun it is to see that "Views" number go up and up. I'll keep writing if you keep reading. "Crimes of Grindlewald" wasn't spectacular but the kids enjoyed it, some awesome CGI and amazing monsters though even if the plot was terrible. Tonight we went out just the two of us and watched "Glass". That was a little better but still not a lot of fun, pacing was all wrong. I'm not much of a movie critic though so maybe it's actually pretty good. Home now, gonna finish watching "Mara", which has been AWESOME. But we fell asleep last night before we could finish it. Temps today were very warm, 47 degrees even according to our Honda Fit. A few more days like that and I'll be out on the bike! The last few days have been a lot warmer than normal, which is odd with the polar vortex set to erase the midwest this week. It's been close to 40 degrees, and the other morning we even dared to ride to work. I rode in 23 degree temps for about ten minutes and I was frozen SOLID by the end, but it was fun. 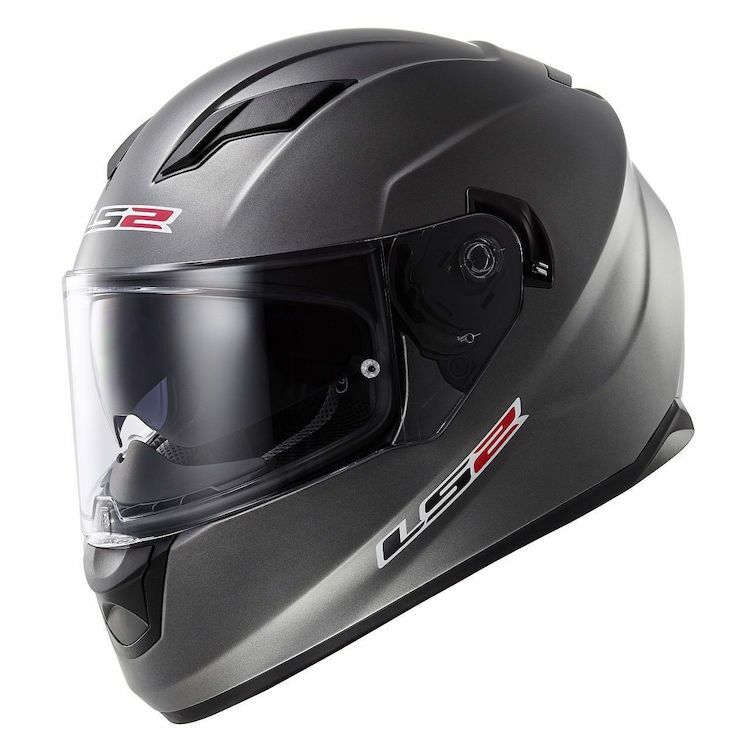 Anyway, the warmer temps have me jonesing for spring riding, and since the gov't recently dumped all our backpay in our accounts, I find myself flush and wanting a new helmet. We're going out in a few minutes to shop for one. I'll see about posting pics when we return. Helmet shopping went very well! I came away with a nice LS2 Stream in Titanium. It's a sport touring helmet with a good, upright profile. It's got one intake in the chin bar and two on the forehead, and an exhaust port under the spoiler. It's also got comm speaker pockets, an internal visor, washable removable liners, all the goodies. I looked at some ICON Airflite buckets, but the way the visor comes down over the chin makes it impractical for a chin-mount GoPRO. I know that seems like a silly concern, but making videos for TMW means I have to consider that in my gear. I also looked at the ICON Airmada "Leprechaun" helmet, but that didn't have an internal sun visor. So, not interested. The LS2 is gorgeous and ticks all my boxes for long distance touring. And yes, I know it's not SNELL. That's the price of the internal visor and I'm happy to pay it. The VOZZ? That's a real nice lid, Carrie still has hers. I didn't really care for it myself though. I REALLY like the integrated sun visor, which the VOZZ didn't have, and that clamshell closure makes using comms a real headache, even as innovative as it is. In other news, Carrie and I have interviews on Sunday to go through the MSF RiderCoach training! How exciting is that?? We're really looking forward to this deeper involvement with the local community. We're both involved in the training culture at our day jobs, so adult education is something we're well versed in. Combining that with bikes, well, that's the grand poomba isn't it? More updates as that progresses, so stay tuned. It's been snowing here just latey, got a couple inches yesterday and a couple more today, so that's keeping us indoors. I don't know if I've mentioned this before, but we play D&D as a family and we've got to do a lot of that recently. The kids really enjoy it and it's a fun opportunity to teach problem solving skills, mathematics, and strategy. It's also a great way to learn which of them are too sneaky for their own good. I think that's all I have for tonight. Thanks so much for reading and feel free to sound off! I’ve always wanted to try d&d but never had the opportunity. Played magic TG and world of Warcraft back in the day but always thought I’d enjoy d&d. I enjoy watching some d&d YouTube channels. Puffin forest is a good one. Pete, you should absolutely try D&D if you get the opportunity. The new edition, 5th, is really easy to jump right into and you can get starter kits with pregen characters while you're learning the ropes. If you've watched some YouTube D&D, then you know it's really a lot more imaginative/theater than similar games like MTG and WoW. We play MTG regularly too, I have a stomp-a-mudhole-is-your-bum Green deck that I like to play with. Carrie primarily uses Red, but she's got a black-and-white that can really be a headache. We've played with the kids too, but so far only one of them seems genuinely interested. They all love D&D though. My oldest daughter, in fact, just told me a funny story this morning. She plays a halfling (Hobbit) rogue named Verma (the characters third name since we started). In our last session she confronted an orc in a cave. She slid between his legs, climbed up his back and de'capped him from behind while perched on his shoulders. So then, last night, she's working her very first ever dinner rush shift at the pizza place she started working at two weeks ago. She was really nervous about laying pepperonis on pizzas fast enough to keep up with the rush, but she told herself 'if I could take out that orc without a problem, putting meat on pizza will be a breeze.' As I understand it, she acquitted herself very well. I LOVE that she's using her experiences playing the game to inform her real-world challenges. Okay, let me restrain the inner geek and get on to motorcycles. Still excited for our interviews tomorrow, Carrie and I have been reviewing the state motorcycle handbook so we're brushed up for any technical questions. I'll post about how it went after we get home tomorrow. Also, we're laying in the plumbing right now to attend the 2019 Super Hooligan National Championship in San Francisco this fall, presented by Indian Motorcycles. This is sure to be an awesome show and we're excited to rep for TMW while we're there. As always, our ability to cover events like this is greatly enhanced by cash flow, so if you'd like to contribute please consider becoming a Patron. One of our wish-list items for this event is a video drone, we could get some incredible footage! Well, this has been a long one! As always, much thanks to everyone for keeping up with my blog and tuning in to our articles. The 2019 season is going to be a blow-out and we're gonna meet it head-on! Carrie and I will begin training next month to become MSF certified RiderCoaches! It's gonna be awesome and we couldn't be happier!! If you've ever taken any MSF courses or are a coach yourself, we'd love to hear something about your experiences. Sound off! Thanks Pete! We're really happy about it and couldn't be more excited. It's a really good group of people so far and we'll be meeting the rest of the team soon, and we'll be teaching classes by April! It's been a few days since I've posted, my apologies. We've been busy getting the review of the 2019 Vulcan S completed, that went live a couple days ago on the main page. If you haven't seen it yet, it's HERE. There will also be a companion video to go with it that we're working on this weekend. I'll be honest, most of the prep is getting our office presentable for worldwide dissemination. There will be more bike reviews to come! There'll be the Kawasaki Z900, and the Springfield and the Scout Bobber from Indian. We'll be rolling those out as through the spring, so watch for them. And as always, I'll try to keep posting updates here so you know what to expect. And you thought I was gonna go silent for a couple months again! Nope, not this time. It's just been a busy week is all. We finally got around to working through some of the video from our trip to the AIMExpo last October, and compiled a review article and video for the 2019 Vulcan S. Check them out, and on YouTube please remember to Like, Comment and Subscribe! 2019 Vulcan S Article on TMW! 2019 Vulcan S In-Depth Review on YouTube! And there's more coming! We also rode the Z900, the Indian Springfield and the Indian Scout Bobber. So watch for that material to show up in the next few weeks. We'll be working on them in every spare minute. We start MSF RiderCoach training this Sunday, and we'll be finished and teaching classes by the second week of April. We'll be journaling our experiences with that as well. Lastly, I know I said this already, but make sure to SUBSCRIBE TO THE YOUTUBE CHANNEL! We'll be holding a vote in the next few days for the new intro sequence and we'll need everyone's input. Subscribe so you get notified when the vote video goes live and make sure you get a chance to sound off! Thanks again to all of you who keep coming back here. I appreciate each and every one of you! Nice to finally get a break! I'm using the time to update the blog! The MSF classes have been moving at a healthy pace, we've spent time in the classroom and on the range (in the wet and cold no less!) and it's just been an amazing experience. We'll be finishing up the certification through April and then we'll both be fully fledged RiderCoaches! Couldn't be more excited. We're also excited for the review season here on TMW. I've been buying up all the camera equipment I can lay hands on, so now we have a small legion of GOPRO cameras, SD cards, spare batteries, and the holy of holies, a drone! Well, the drone is on it's way at least. I've got some pretty big plans for the kind of content we'll be able to deliver for the YouTube channel. And no worries if you're not the YouTube type, we'll of course keep writing articles that will live here on TMW. The last bit of news, we've resurrected our motorhome! I don't know if I mentioned it on here or not, but last spring we picked up a 1986 Itasca Winnebago on the legendary Ford E350 chassis. Unfortunately it had a host of problems and we didn't get much use out of it last season. But we sent the beast to our mechanic for some TLC, and after rerouting some fuel lines and vacuum hoses and a complete rebuild of the carburetor, that monster 460 is purring like a kitten again. Having the motorhome as a travel option greatly expands our capacity for attending media events and tracking down some action. Even at 10mpg and $3.50/g for fuel, it's still cheaper than staying in hotels. So as they say, it's on like bing bong! Are you aware of any events happening in your neck of the woods? Myself and the wife bought a pop up camper last year. Can’t wait for the snow to melt and camping to begin. And biking. Pete, that's awesome news! Carrie and I used to have a little pop-up camper, we pulled in with our Kia Sportage and really had a great time with it. But it started to get too cramped as the kids got older. You're sure to have a ton of fun in it!